Server Remote Control KISS please! 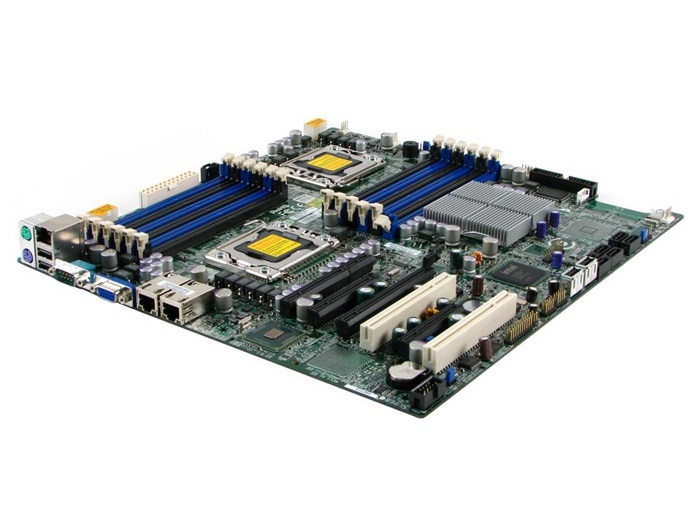 I have a Supermicro based motherboard which I installed several months ago in a test server and was delighted with the built base management which allowed me to do 100% of the pre-boot, OS install and applications installs remotely from my laptop over my LAN. Firing up via the dedicated Ethernet management port and a standard web browser couldn’t have been easier (once I’d figured out the default user and password). Then I fired up the new Dell T110 server a few weeks later with the similar sounding iDRAC. I have to confess up front here that I’m not a Dell OpenManage guru, but I’ve come to personally expect a certain amount of simplicity with any type of management interface and given the amount of initial installation, downloading and reading through web sites and manuals, my initial reaction is that iDRAC is not yet ready for the lowly end user/SMB class of user. I basically went from a really simple to use interface on the SuperMicro that was pretty much self explanatory, to several hours of learning of which software to download for my Dell (I purchased without an OS so was provided no driver CD when it arrived). Once I identified what I thought was the right software, I’m still working on it. Hopefully I’ll get it going soon when I have a few spare hours and can report better results, but for now, the SuperMicro approach seems to be working much better for me. I think keep-it-simple for us “stupid” users (KISS) is the operative word here and may have been lost somewhere in the OEM community …. Hopefully they can take a lesson from the simpler approach adopted by the SuperMicro (and other similar approaches using the same technology). Check out the Server Pages for more information on my experiences with the Supermicro remote server management approach here. I’m reminded yet again as I read the morning news of the volatile times we live in. Job losses (or small gains more lately thankfully) especially in technology and engineering all seem familiar and normal nowadays. Those of you recall the high tech crash of 2002/2003 may remember a book called “Who Moved My Cheese“, an excellent and short story about groups of mice faced with the same challenges, but dealing with them in a different way. BTW, this is a must read for anyone who has either gone through or is facing a new set of challenges either in your personal or business lives, specifically a job loss, company shutdown, products losing steam and so on. New opportunities are out there for those that look for it – just go. Having been through this many times now in both product and personal development situations, this old wisdom is definately on the money and best of all, simple enough even for us tekinerds to understand and relate to. This up and down economy is a norm we all have to get used to and more importantly adapt to. We all have to (continue to) educate ourselves as to what end users or technology really need versus what we can build, and focus on addressing real problems that exist and can be solved. This way, we’ve increased the chances that what we’re working on is relevant and needed. Whatever your situation, happy adapting… again.